The St. Michael church – affectionately called „Michel“ by locals – is a main protestant church in the south of the district Neustadt. The observation deck of the Michel tower is 106 metres high and has panoramic view over the harbor and the city. Directly in the center of Hamburg on the south shore of the Alster is Hamburg’s most famous boulevard – the Jungfernstieg. HafenCity Hamburg, the largest urban development project in Europe, is being built on 157 hectares in the former harbour district. Located directly on the Elbe and directly at the port, this new city district is being created to provide a unique mix of culture and leisure, urban living and working, shopping and dining. The Elbphilharmonie with its impressive glass facade and wave-like rooftop rises up from the former Kaispeicher building on the western tip of the HafenCity. Accommodated inside are two concert halls, a hotel and residential apartments. Between the old warehouse and the glass structure is the Plaza - a public viewing area that extends around the whole building. A sweeping view, a fresh breeze and plenty of light – hardly any other city has as many attractions and places of interest as Hamburg. 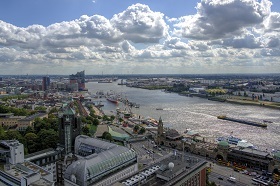 Everywhere in the city, life is linked with the port – whether it in the stairs quarter of Blankenese with its traditional fishermen’s cottages, on the Elbe beach with a view of the passing container ships, or on the promenades of the Elbe banks and the HafenCity district. On an area that was once used by cargo ships to unload their freight, the HafenCity Hamburg district has been taking shape over the last ten years. A completely new quarter is being developed on a former port area with a surface area of 150 hectares – situated in the very heart of the city. Each year, residential and office buildings with exceptional architectural designs are being completed here. 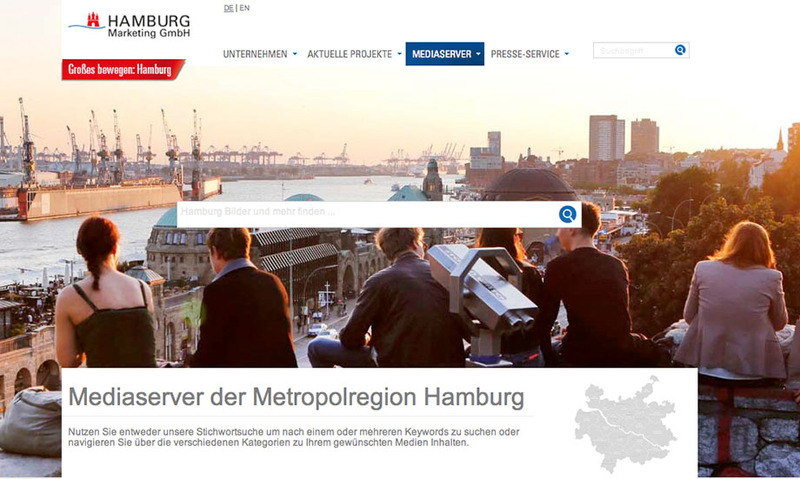 1,800 residential apartments are already completed, and 730 businesses have relocated to the HafenCity Hamburg. Visitors to the HafenCity are captivated by the waterside promenades that go on for miles and miles. At Sandtorhafen, a new Tall Ship Harbour has been created, and numerous restaurants, cafés and bars at the squares of the Magellan Terrassen and Marco Polo Terrassen invite you to relax and take a break. As the district is still taking shape and will not be completed until 2025, the HafenCity is also an exciting destination for anyone interested in building construction and contemporary architecture. The spectacular Elbphilharmonie on the western peak of this new quarter is the HafenCity’s flagship project. The Elbphilharmonie opened on 11 January 2017. Hamburg’s new landmark stretches towards the sky on top of the historic Kaispeicher A. 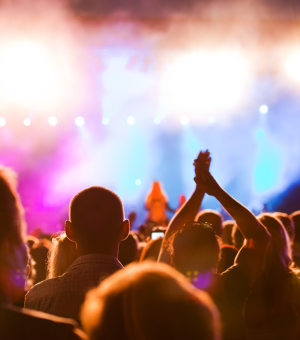 Locals and guests to the city can admire one of the world’s finest concert halls and enjoy a breathtaking view of the city, the port and the Elbe – to be enjoyed from the lofty height of the public Plaza square. Wanderlust is never too far when you see the world’s largest and most exclusive passenger ships drop anchor at the Hamburg Cruise Center. Only a short distance from here, the International Maritime Museum Hamburg in the historic Kaispeicher B exhibits a unique collection of historic seafaring treasures. Here you can embark on a very special journey through maritime history up until the present. Beautiful red-brick façades, arched bridges and picturesque views characterise the scenery of the Speicherstadt, Hamburg’s historic warehouse district. 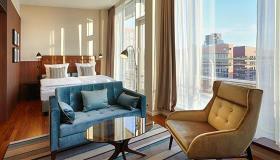 Situated between the HafenCity and the city centre, the Speicherstadt is interspersed with waterways. During a stroll through the cobble-stoned streets of this protected building complex, you will find that even today the Speicherstadt is used as a storage place for carpets, coffee, tea and spices. In addition to advertising agencies and young Hamburg businesses, the Speicherstadt is also home to numerous museums, among them the Speicherstadtmuseum and the interactive exhibition Dialog im Dunkeln, where blind staff guide you through the exhibition. The Miniatur Wunderland with the world’s largest model railway system is also located here. 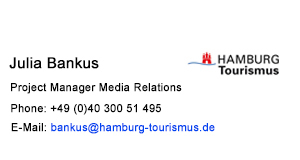 With more than 1.5 million visitors per year, it is Hamburg’s most popular place of interest. At the waterfront between Baumwall and the St Pauli Landungsbrücken, you can see the colourfully flagged sailing and motor boats in the City-Sportboothafen, where the bright red restaurant ship Feuerschiff is also moored. At the nearby Überseebrücke, where large passenger ships formerly docked, the general cargo vessel Cap San Diego, built in 1961, is well worth visiting. The ship is the world’s last seaworthy freighter museum of its size. The berth of the lavishly restored barque ship Rickmer Rickmers is moored diagonally opposite. This real Cape Horn veteran can also be viewed from stern to wheel house. From here it is just a short walk to the Portuguese Quarter with its many fish restaurants. An impressive view of the hustle and bustle of the streets and the port can be enjoyed from the tower of St Michaelis Church – Hamburg’s traditional landmark that makes the cityscape so characteristic. Twice a day, at 10 o’clock in the morning and at 9 o’clock in the evening, you can hear the sound of trumpets in all directions coming from the 132-metre tower. This tradition has been upheld for more than 300 years and marks a moment of silence and contemplation for many of Hamburg’s locals. From here it is but a short walk to the jetties of the St Pauli Landungsbrücken. This is the traffic hub for port ferries, Elbe ferries and excursion boats. From here you can also take a harbour boat trip on one of the barges that are so typical of Hamburg. Speaking of boat trips: for the price of a regular bus ticket, the port ferry #62 will take you straight to the lovely Elbe beach at Oevelgönne. If however you tend to feel a little queasy on the water, why not equip yourself with a fish roll and retire to the upper level of the Landungsbrücken. From here you have an excellent view of the passing ships and the hustle and bustle of the shipyards on the other side of the Elbe. During the summer you can watch the ships and dig your feet into the sand, as numerous summer beach clubs are located here at the Landungsbrücken. Each Sunday as the sun rises, crowds of early birds and night owls make their way to the St Pauli Fischmarkt. On this historic square on the Elbe, countless booth traders loudly extol their fresh fruit and veg, clothes and bric-a-brac. Having been won over by the humour and quick wit of the vendors, many visitors have found themselves leaving the market square with oversized potted flowers and bags full of smoked and fresh fish. While there, you should not miss out on a visit to the historic fish auction hall: drop in for a drink on a Sunday morning and join the party. Anyone looking to get away from the crowd will find the perfect place further downriver on the roof of the Dockland, a grand office building in the shape of a ship, towering 40 metres above the River Elbe. The publicly accessible roof provides a magnificent view of the Elbe and the huge container ships that are being loaded and unloaded around the clock at the modern terminals on the other side of the river. Design lovers can combine their walk from the St Pauli Fischmarkt to the Dockland with a stopover at the Stilwerk, a retail store for international interior design. Once there, why not try lobster or fish in one of the new or traditional restaurants, or stroll along by the “string of pearls on the Elbe banks” – a row of innovative buildings with contemporary architectural design. An even more tranquil scenery awaits you further down the Elbe: Oevelgönne with its museum harbour, its small cottages and romantic side-street restaurants offers a true village atmosphere on the banks of the Elbe. In fine weather, a visit to the “Strandperle” is also highly recommended. 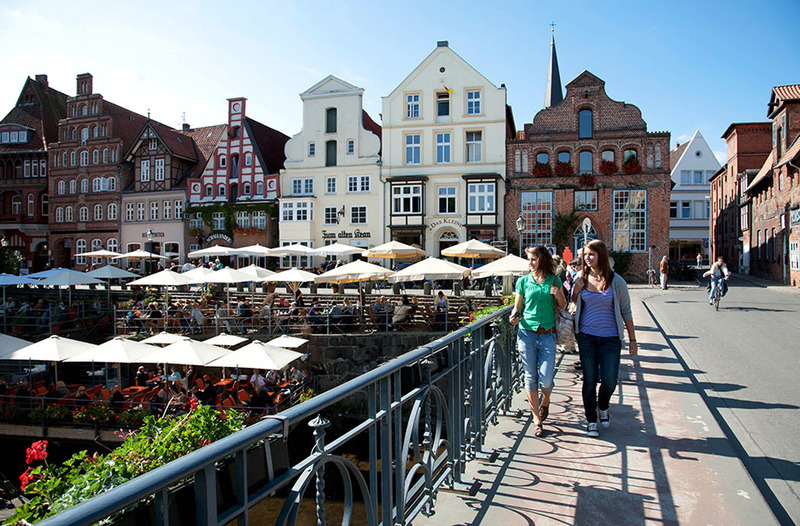 Situated on the Elbe beach, this no-frills café is a popular meeting place for locals. Here you can relax with a glass of champagne, dig your feet into the sand and watch the ships go by. It is noble and traditional still further to the west: the beautiful stairs quarter of Blankenese with its steep hills and tiny streets is also known as “Hamburg's Italy”. Here, the fishermen's cottages and captains’ houses nestle beautifully on a slope above the River Elbe. Irrespective of the size of the houses, the builders have made it a point to construct at least one window with a view of the Elbe and the passing ships. While in Hamburg, make sure to include a boat trip through the harbour. Here it is recommended taking one of the round trips by barge, as these small, nifty boats can even make it through the canals of the Speicherstadt – provided that the water level is high enough. It is also a barge that will take you to a truly emotional place: Hamburg’s BallinStadt emigration museum on the south-eastern edge of the port. Between 1850 and 1939, approximately five million people set out from Hamburg on a journey over the Atlantic to find peace in the New World. Today, an interactive exhibition across three museum halls provides an insight into the lives and dreams of those people and the historic background of their emigration. 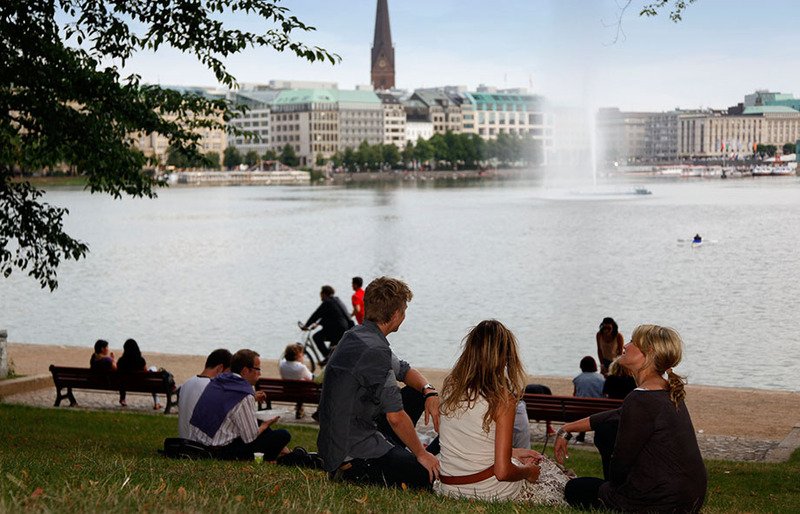 The city’s most centrally located body of water is the Alster. The Inner Alster Lake borders on the Jungfernstieg boulevard, and its branches stretch all the way to the Alstertal valley – arguably one of Germany’s most beautiful inner-city sailing areas. Boaters, stand-up paddlers, joggers, walkers and sunbathers all find their place here. Hamburg’s suburbs north-east of the Alster are ideal for hiking. From the Alstertal you can follow a hiking trail that will take you all the way to the city centre. From the Lombardsbrücke and Jungfernstieg you have a lovely view of the Alster and the city. The white fleet of Alster-Touristik offers a scheduled ferry service and round trips, and the terraced restaurants on the banks of the Alster are open all year round.